Chase Canada's credit card portfolio is sure shrinking fast. 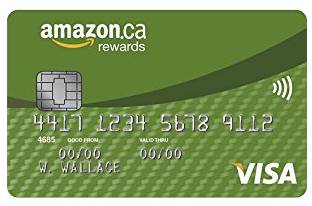 Sure the card hasn't been discontinued but as of April 3rd applications were no longer being accepted for the Chase Amazon.ca Rewards Visa card. We first saw it reported on Rewardscardcanada.com (yes, yes we know it's a play on our name and advantageous for their SEO but the gentleman behind it is a good guy) and we also mentioned it on our twitter feed yesterday. Now that this card is no longer available it leaves only the Chase Marriott Rewards Premier Visa card as the only publicly available card from Chase. It also makes the Marriott Visa card the only one in Canada with no foreign transaction fee as the Amazon card also had this feature. I know a lot of you love this card because of the no annual fee tied in with no foreign transaction fees. If the card is discontinued what do you think you'll replace it with?